Contact Karl on his mobile service 0419 684 404 or by using our quick and easy online form. How long does it take to sand and polish my floors? Floor sanding and polishing takes between two and five days. Of course, it depends on floor size, age and condition. Before the starting day you need to prepare your home. Furniture, cars under the house and clothes in cupboards plus more, all need attention. Relax and check our pre-sanding and polishing guide. Brisbane is full of classic old homes, with out-of-date flooring. Meanwhile stylish timber floorboards, for the most part, lay dormant under old carpet and vinyl. Timber floor restoration starts at the sub-floor level. Ensuring your floor has good bones is the first step. Next, we carry out a health check of your floorboards. 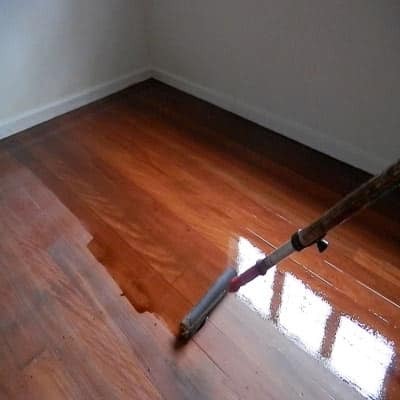 Wood floor polish on old timber floors, above all, can unveil amazing results. 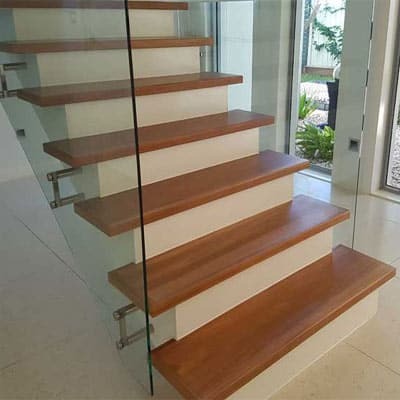 Polishing your timber stairs creates impact right at the entry point of a home. For this reason, we sand, prepare and finish timber stairs to a high standard; like a piece of fine furniture. A striking feature of your entry is one thing, at the same time safety is another. Get a grip on your polished timber stairs with our anti-slip stair coatings. Walking on floors with dirty shoes, kids, toys and dogs are all the enemy of polished floors. Wear, scratches or scuff marks all play their part to take the sparkle off your once beautiful floor. Stopping this from advancing is under your control. To begin with, long lasting durability lies within the the wood floor polish coating itself. Right from the start you need to have a durable floor coating applied. Following that, a floor maintenance plan is crucial. When you call this company you deal with me, the owner of the business. You deal with the same person from the quote stage, right through to completion of works. With over 20 years’ experience our focus is on producing work of the highest standard. Whether it be new wooden floors, or old flooring in need of repairs, we can turn your flooring dreams into reality. Will it drive up your house value? That’s a given! Feel secure with the knowledge that we use Q.B.C.C. contracts – issued to every client. Expect a thorough quote outlining the full scope of work as well as time frames. Also, the quoted price is the total amount, with no hidden costs. I take the time to walk around your floors with you, while pointing out any issues of concern. Most of all, I listen and answer any questions you may have about the work. Every aspect of the work is factored in. In other words, there are no surprises. For example, if a floorboard needs replacing or bracing, I will take the time to show you. Also, I will explain why we should repair it. Right from the word go, we offer up-front honest advice. About $3000 -$3500 dollars for an average sized home. With this in mind, it will depend on size, condition, age and other factors. Check out our full pricing guide for complete transparency. Will floor sanding cause much dust? 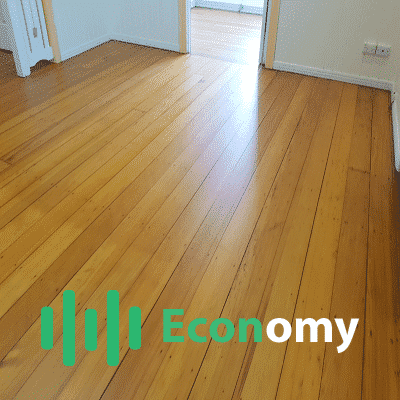 Economy Floor Sanding guarantee in writing your home will be dust-free on completion. How do I prepare to have my floors sanded? Furniture removal is necessary, and besides that, you may need to vacate your home. See our full guide on what you need to know plus how to prepare. Do you remove old floor coverings? Yes we do? Old floor covering removal is an option we can offer in your quote. We also dispose of old floor coverings from your property. We're renovating. At what stage should we polish our floors? Definitely at the very end of your renovation. Read our complete guide on polishing floors when renovating. 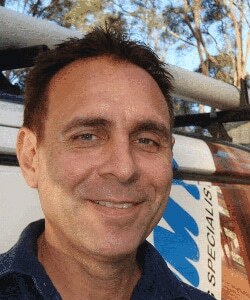 Talk to Karl at Economy Floor Sanding if you need any advice on 0419 684 404. Do we polish our floors before or after our new kitchen install? Complete your kitchen install before having your floors sanded. By and large, this is best advice to take. We guarantee zero damage to kitchen cabinetry and kick-boards. When sanding timber floors in older homes it is best to complete all trade work first. Floor sanding methods play a major role in the pursuit of a perfect polished floor surface. These Brisbane floor sanding and polishing case studies below show the reasons why clients rate us as one of the best floor sanding companies in south east Queensland. 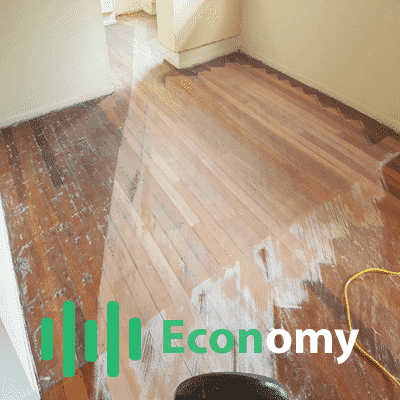 Watch how we sanded and refinished these polished timber floors for a Brisbane north-side client. 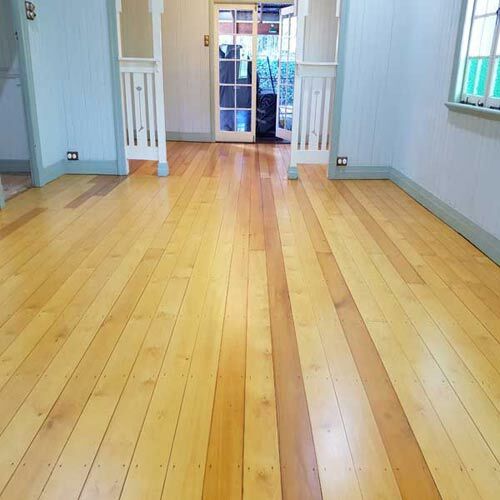 Watch how we restored these old Hoop Pine wooden floors, and the issues we faced such as moisture damage. See us carry out timber floor sanding, polishing and repairs to a hardwood floor covered in staples and glue. Queensland Building and Construction Commission (Q.B.C.C.) is at 299 Montague Rd, West End QLD 4101. They’re based south of Brisbane city. The Q.B.C.C. is your go-to Qld government resource for all building work in Queensland Australia. 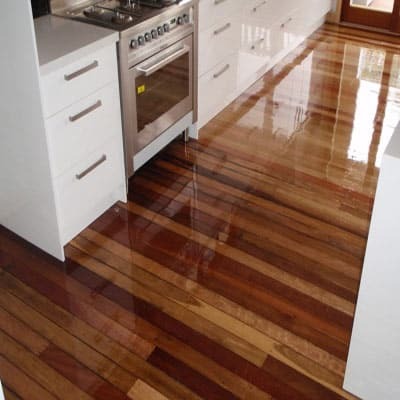 Here you can run a quick check on the status of a Brisbane floor sanding and polishing company. You can also check their history for any rectification orders against them. Australian Timber Flooring Association, (A.T.F.A.) is based in south east Queensland. 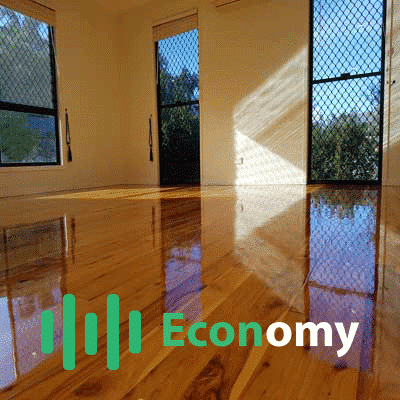 They are the top national body for the entire timber flooring industry in Australia. Consumers can access a wealth of information from them about wooden floors. Also sanding, polishing and expectations relating to quality of workmanship within the flooring industry.